For use in Dental Radiology courses at the undergraduate level; designed to supplement all dental hygiene and dental assisting oral radiology theory books. 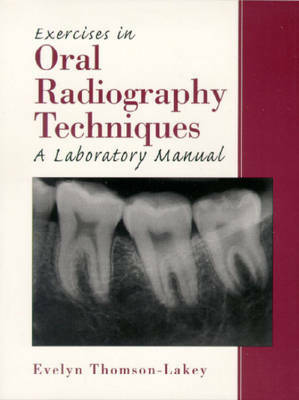 Helping dental hygiene and dental assisting students perfect the skills necessary to assume their professional roles, this simply written workbook-style lab manual provides 14 concrete, practical exercises in oral radiographic procedures and interpretation that challenge students to link theory with clinical practice. Serving to complement not duplicate material found in basic theory texts, these self-contained, ready-made, student-driven exercises come in an easy-to-use, three-hole punched format-complete with directions for finishing the activity; mounting diagrams to attach the final radiographs; and tear sheets which allow students to turn in assignments for instructor evaluation.